With platforms like Netflix and OnDemand providing films at the click of a button, neighborhood video stores seem like a thing of the very distant past—something you'd probably categorize as so '80s. 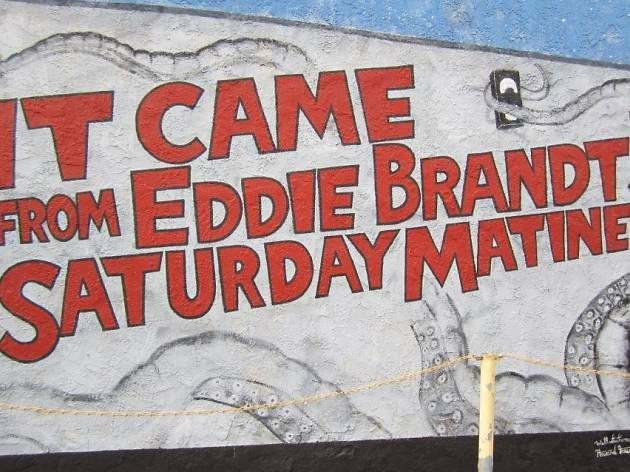 But on a Vineland corner lot, long-standing shop Eddie Brandt's Saturday Matinee still stands in all its glory, brimming with roughly 80,000 titles. 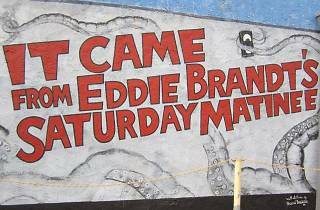 It's a film buff's paradise, and a hiddem gem frequented by industry movers and shakers searching for inspiration. The mom-and-pop shop has as much character as one of its pictures thanks to a charmingly gritty facade (a comic book-like mural covers the exterior), aisles rich with cassettes (millenials, look that up), an impressive, collector's-worthy inventory of celebrity portraits and movie stills, and shelves stocked with archival treasures. Head to the indie shop to rent a vintage classic or buy your favorite film still, or just check out the joint for its rich history and novelty. It's practically a landmark.